Prowl print is new this summer. Large scale leopard spots perfect for all you wild ones out there! Floating Palms print is used in the sand&palm Another Land/Palm collection. It is created using sketches of the designers travels in the tropics. 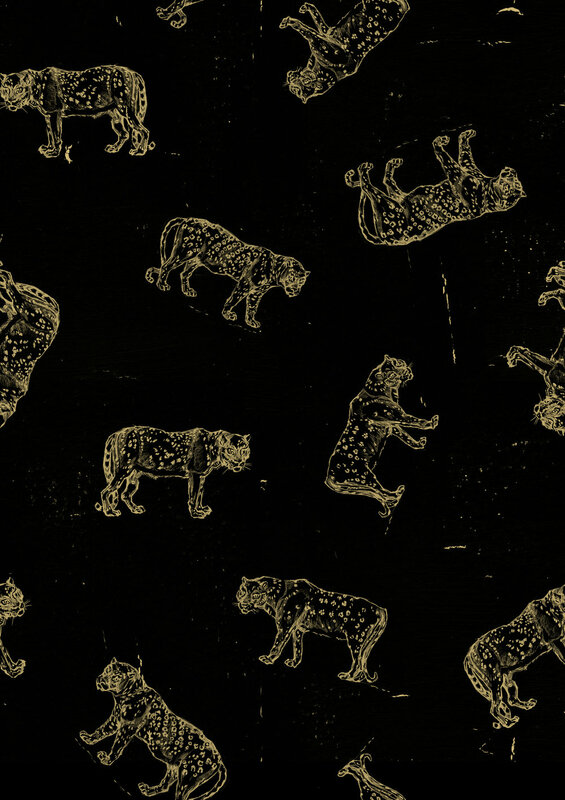 Golden Leopards by Victoria Jones for sand&palm Another Land/Sand collection. It is inspired by the big cats that roam exotic places in faraway lands. Wild print is inspired by the colours, textures, leaves, fruit, and raffia fibres of the palm tree.